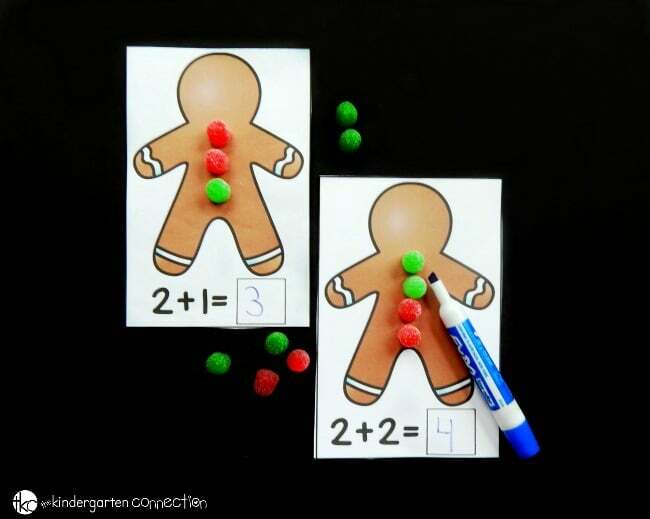 With Christmas just around the corner, it’s been fun brainstorming and prepping some hands on centers like these gumdrop addition mats. Use them with real gumdrops (yum!) or even use play dough, unifix cubes, or fun Christmas erasers as counters. No matter how you play, these are a great activity for building addition skills within 10. 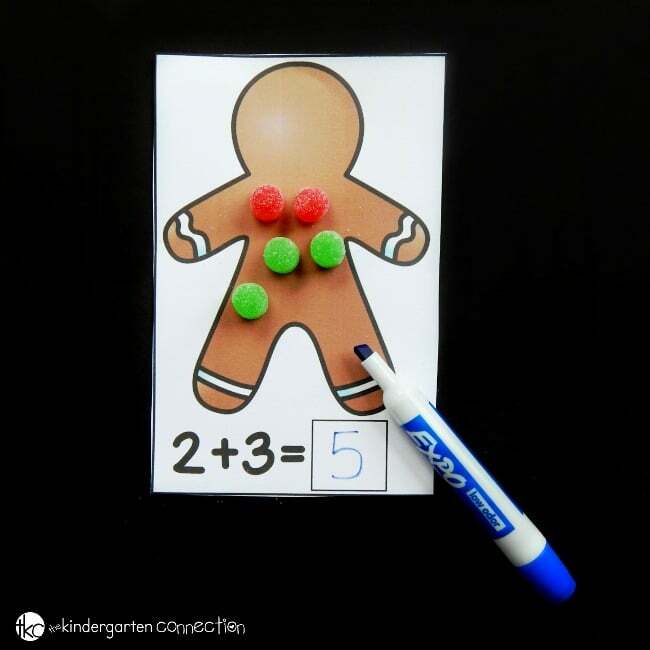 To get these gingerbread mats ready, I printed them out on cardstock and laminated them. This way I can use them with a dry erase marker over and over again. I decided to play with real gumdrops. I recommend giving each kid their own cup of gumdrops to play with. They can play and then eat them! Or, you can have a designated bowl of gumdrops NOT for eating. I find that most kids will respect that rule because they don’t want to lose the privilege of playing the game. I used two separate colors of gumdrops to build equations. This gives a good visual for kids that two separate sets are being combined to form a new total. First we had 2+3. We put out 2 red gumdrops and 3 green gumdrops. How many gumdrops in all? We have 5! So we wrote 5 in the box with our dry erase marker. We then cleared off our card and grabbed another to solve! 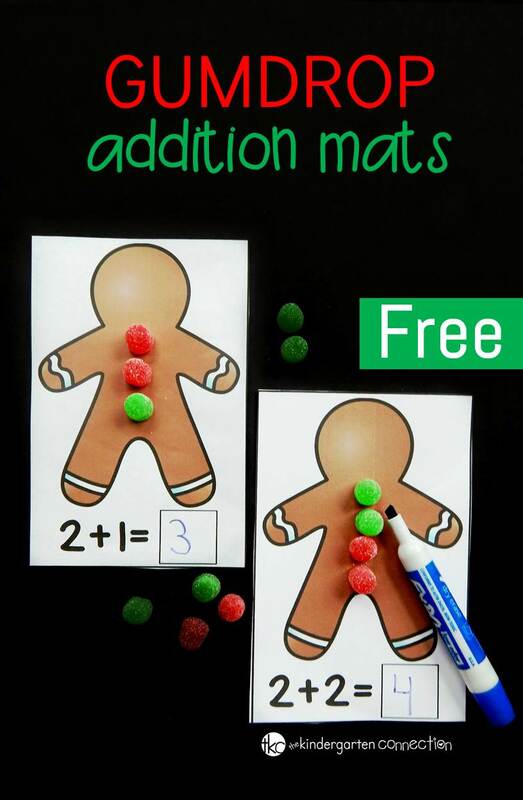 Ready to play with the gumdrop addition mats? Grab your own copy by clicking the yellow button at the very end of this post. 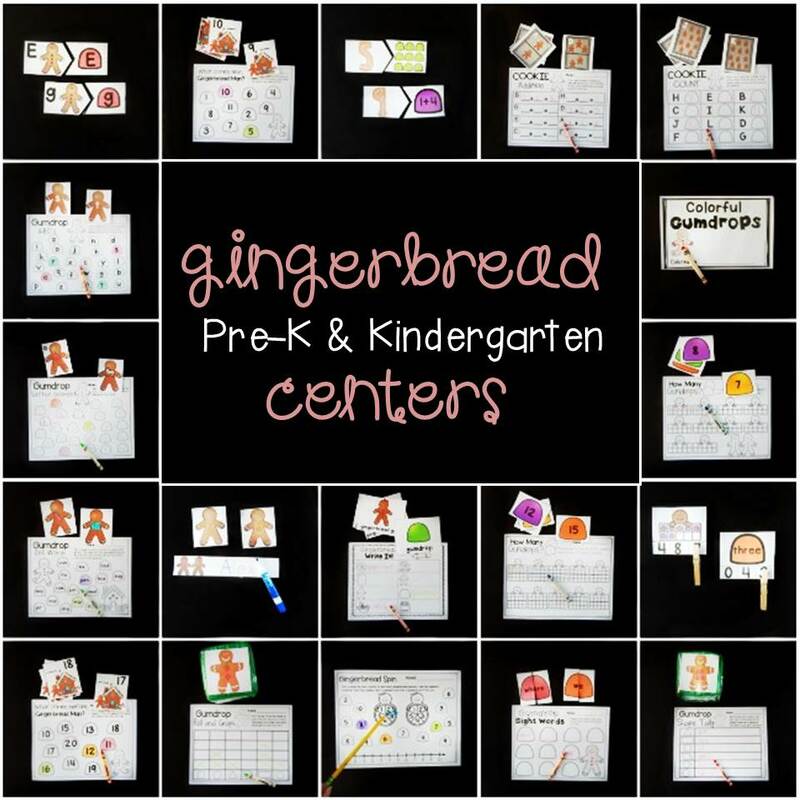 Then, head over and grab our Gingerbread Math and Literacy Centers to have centers for the month ready to go! 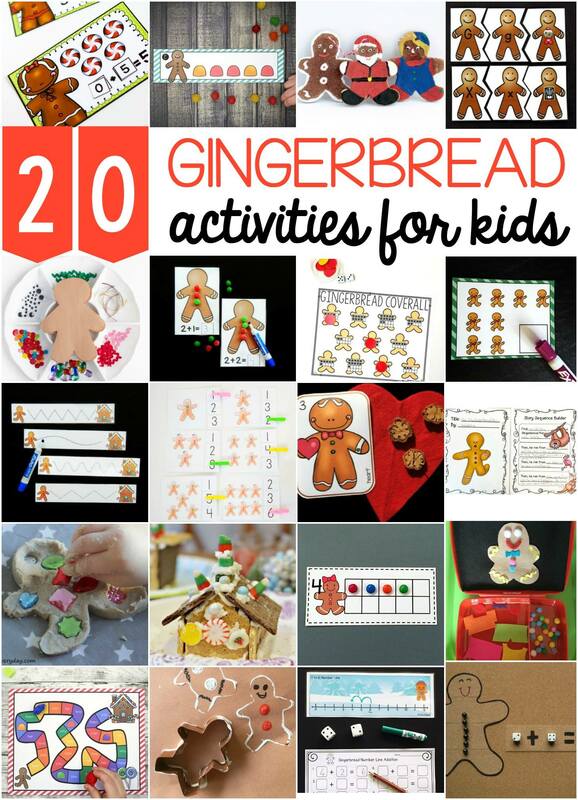 Be sure to check out these 20 awesome gingerbread activities for kids from some of my favorite kid bloggers too!